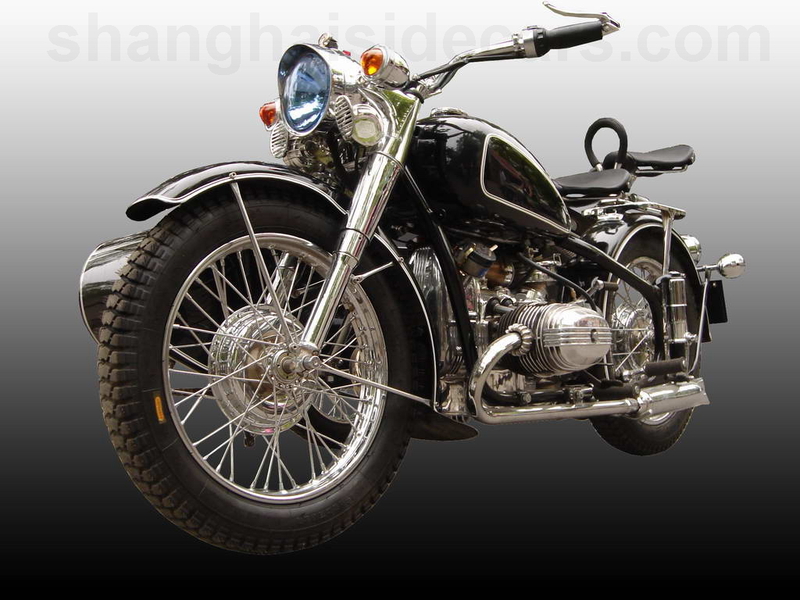 This is the classic BMW R 71 look. 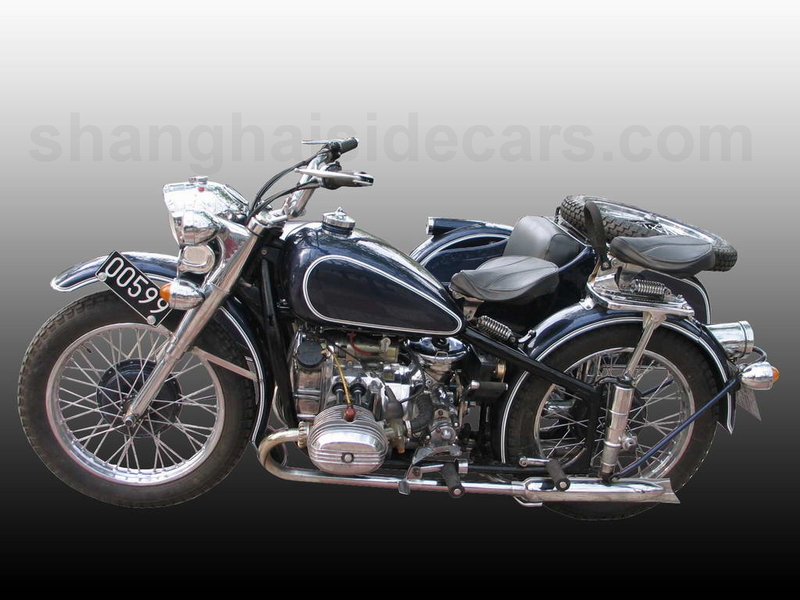 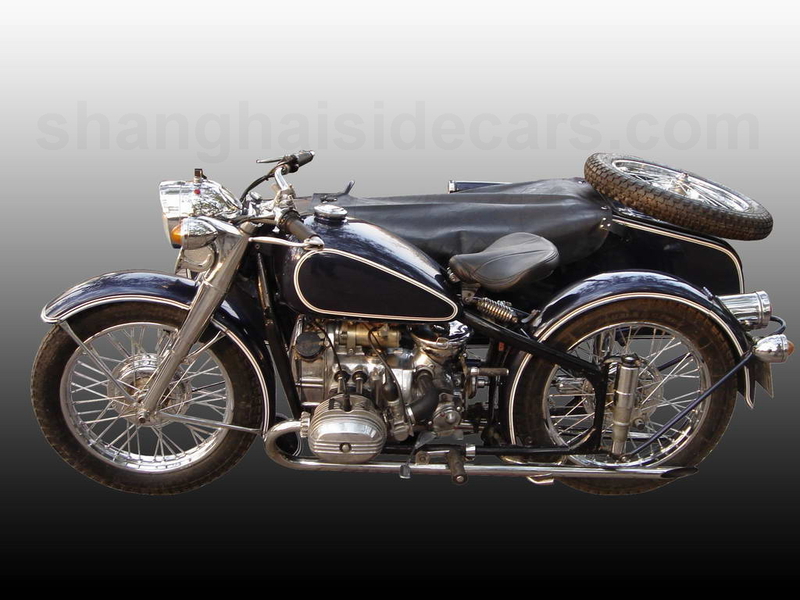 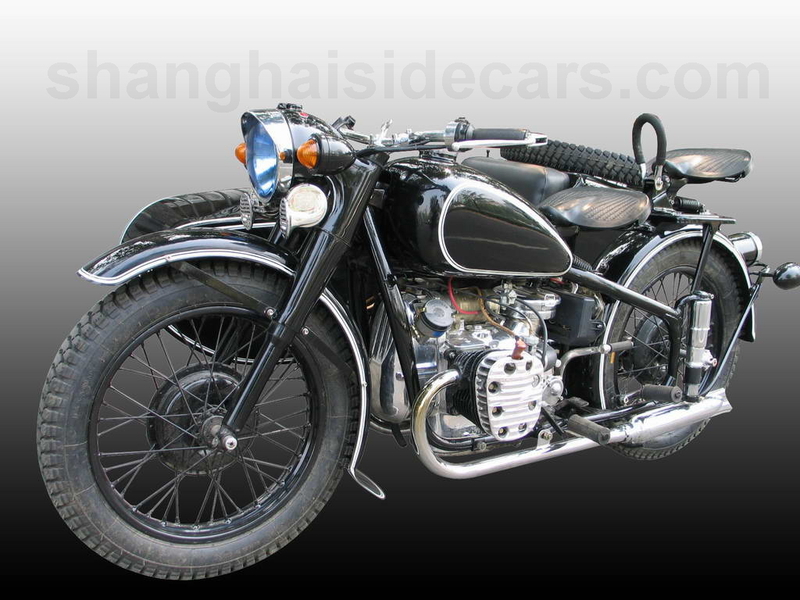 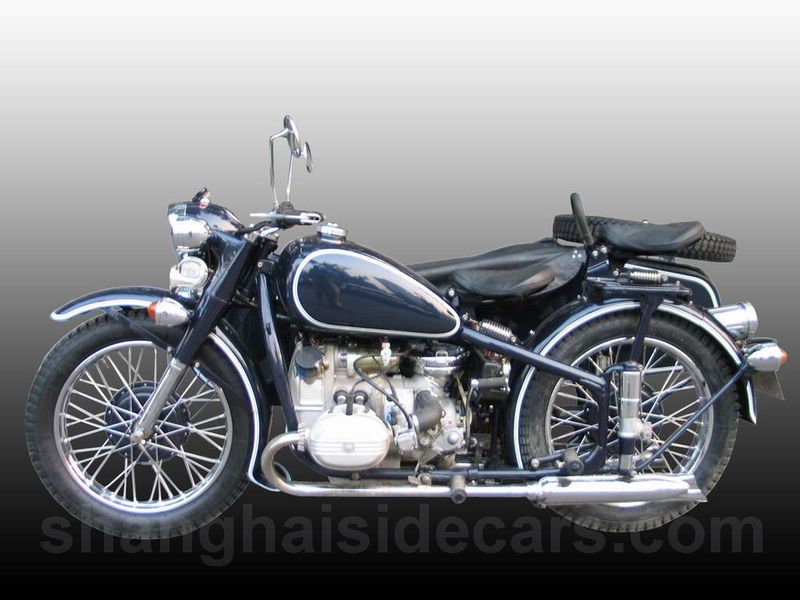 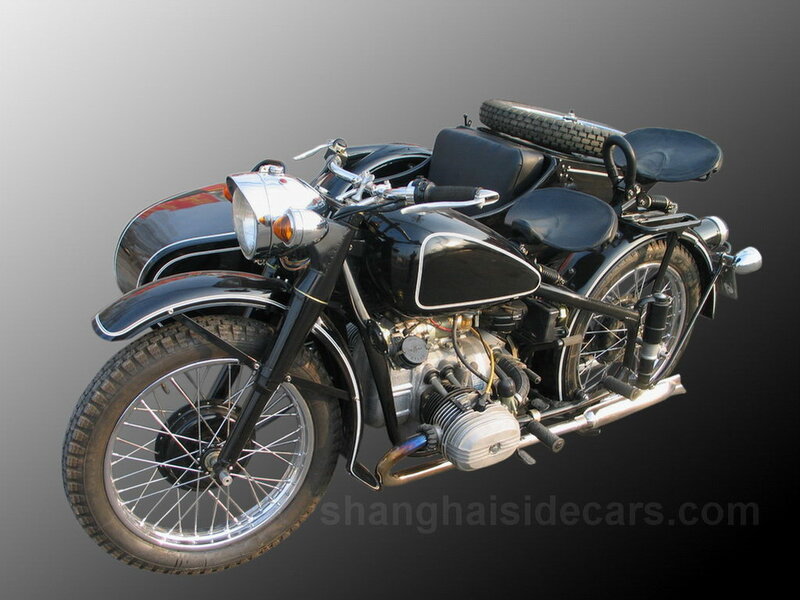 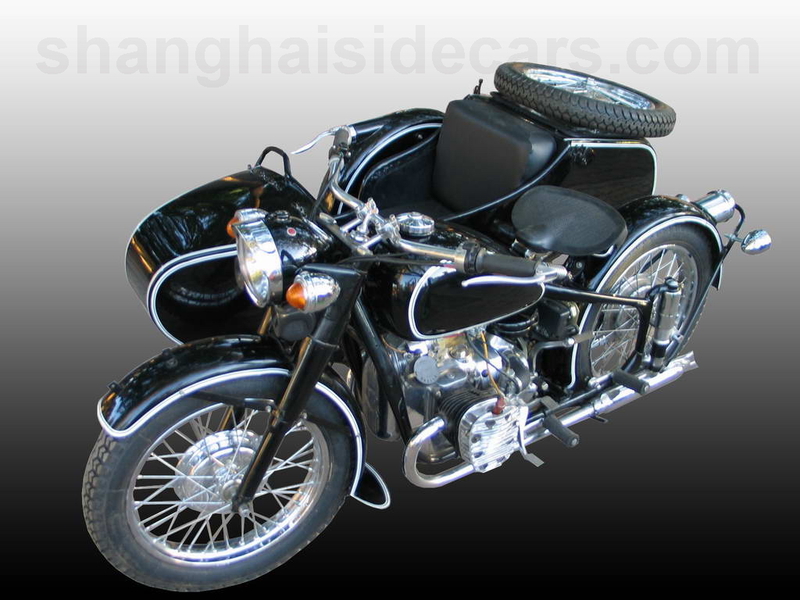 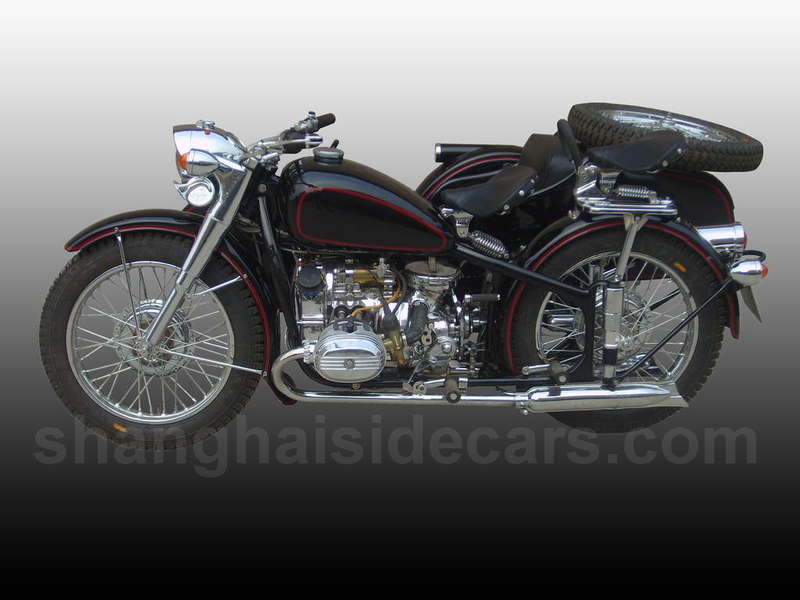 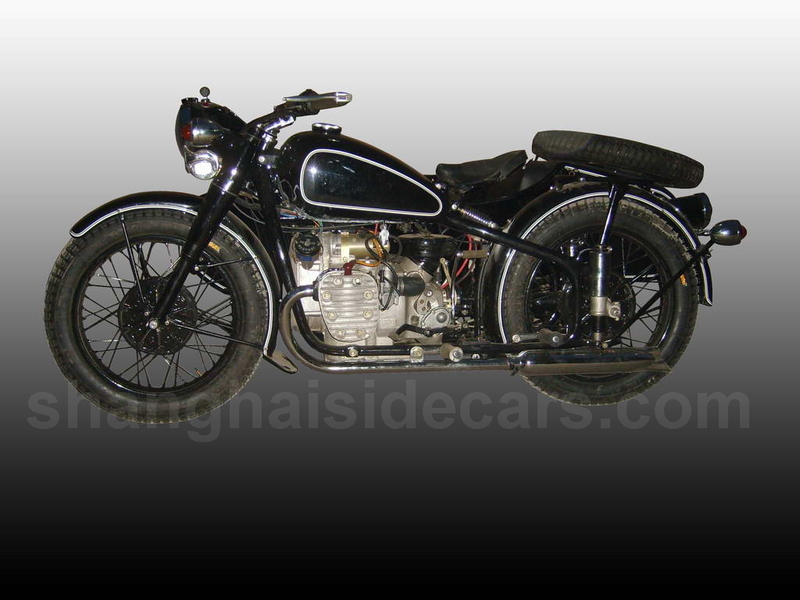 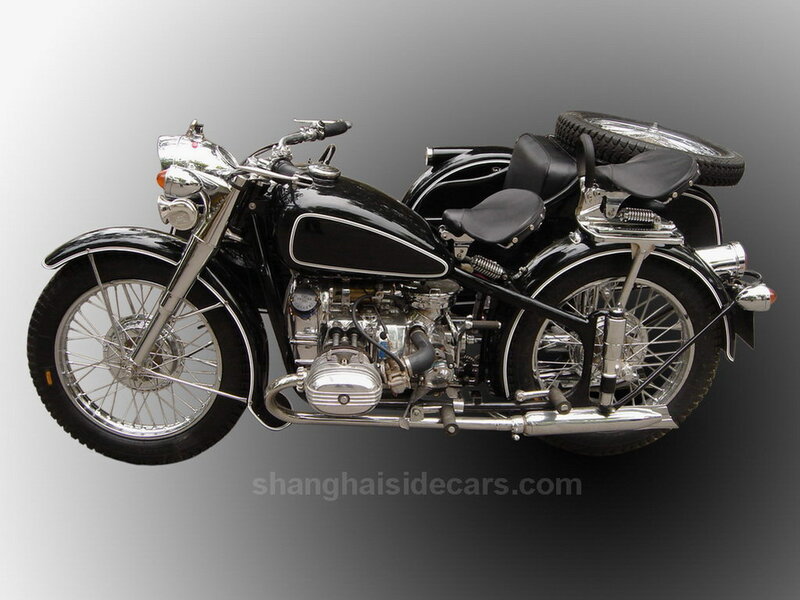 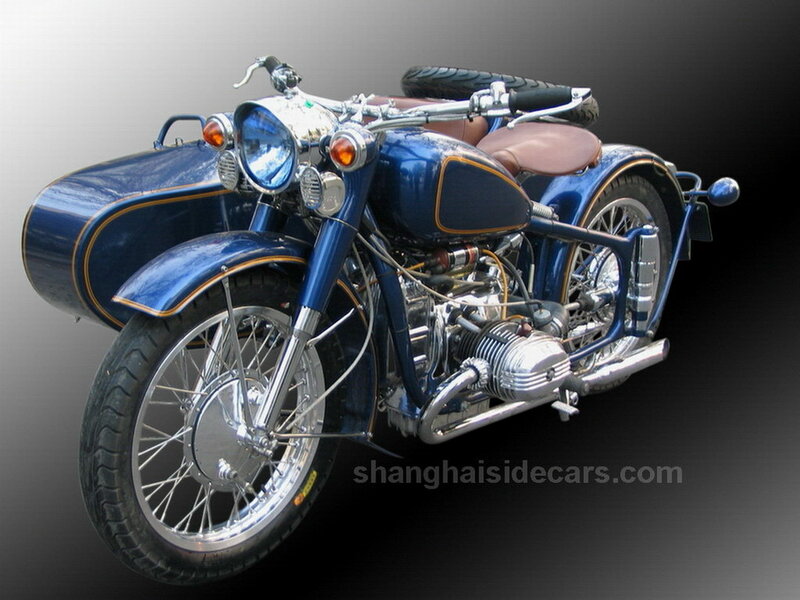 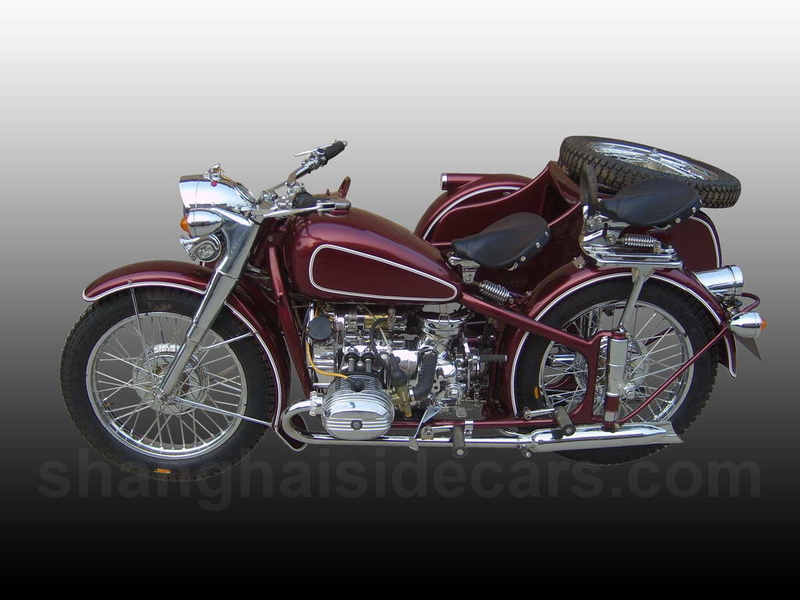 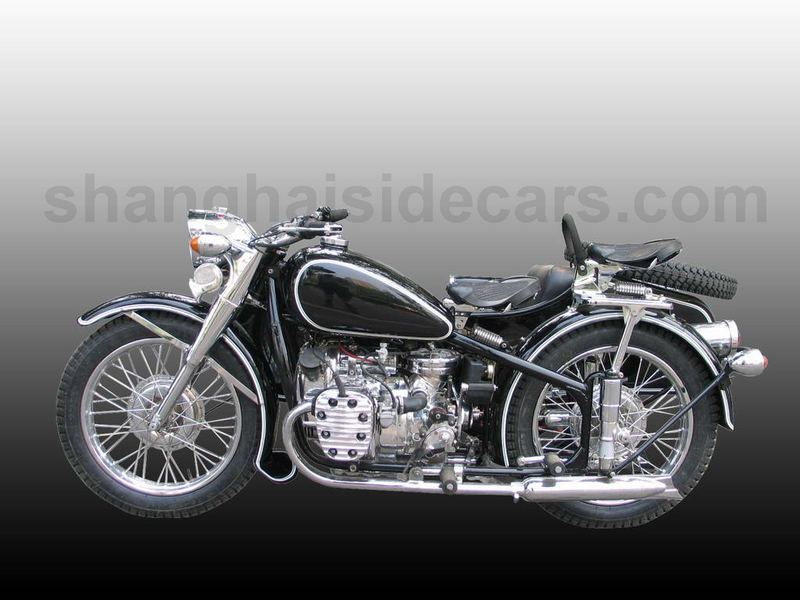 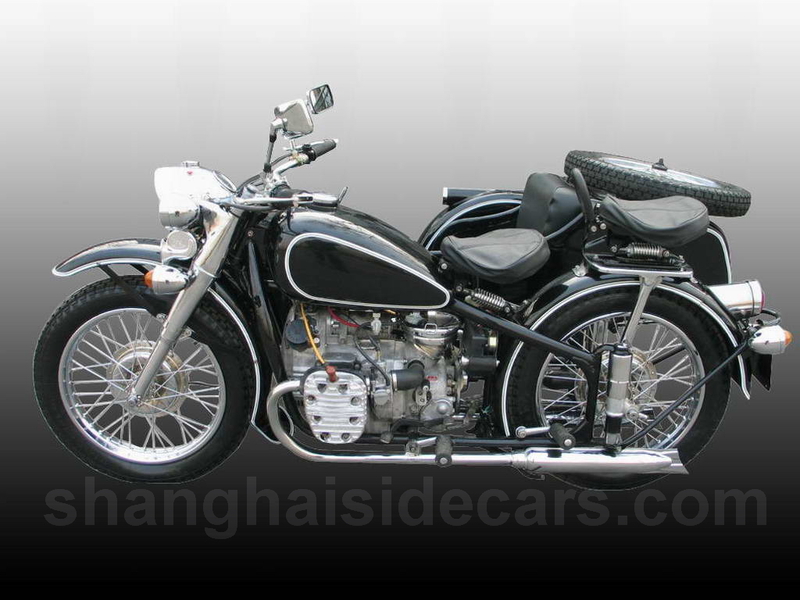 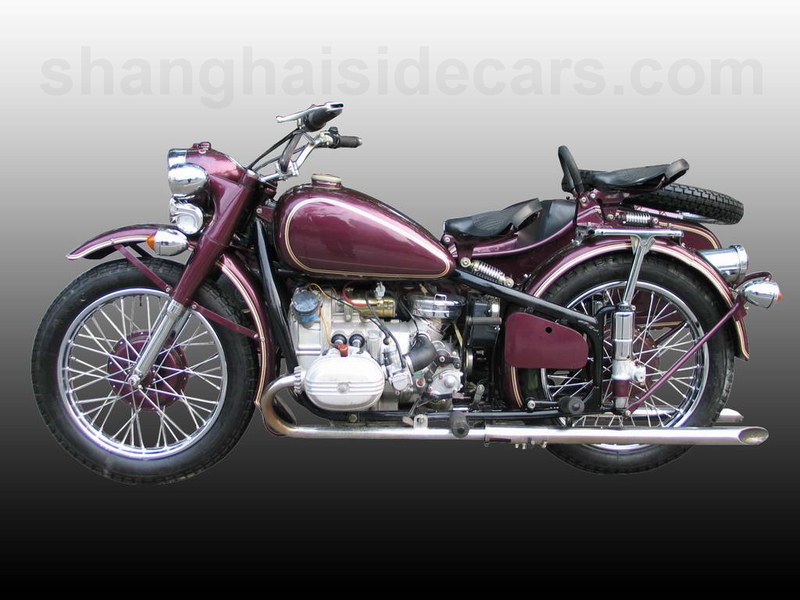 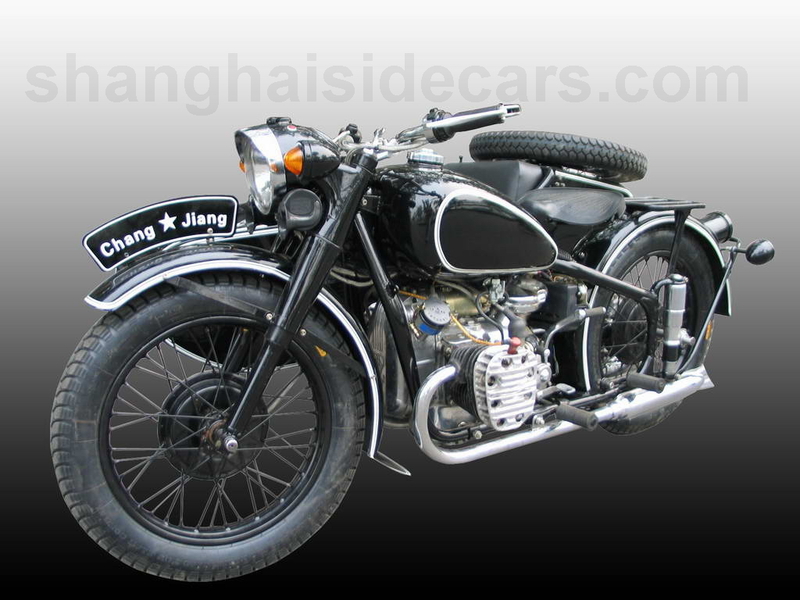 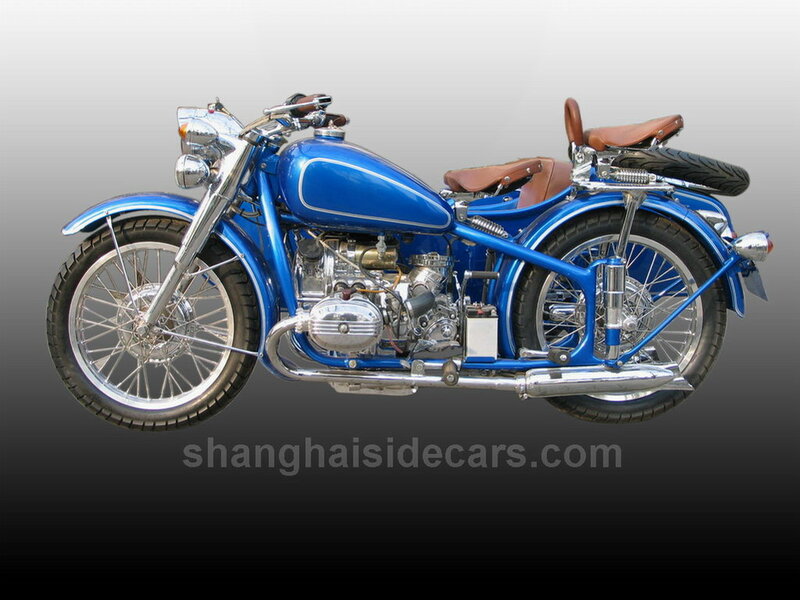 These Chang Jiang 750 sidecars are restored to the highest quality using only the best parts and attention paid to every detail. 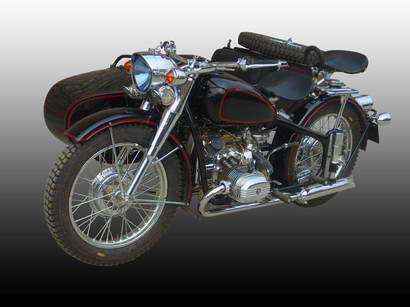 Restoration details. 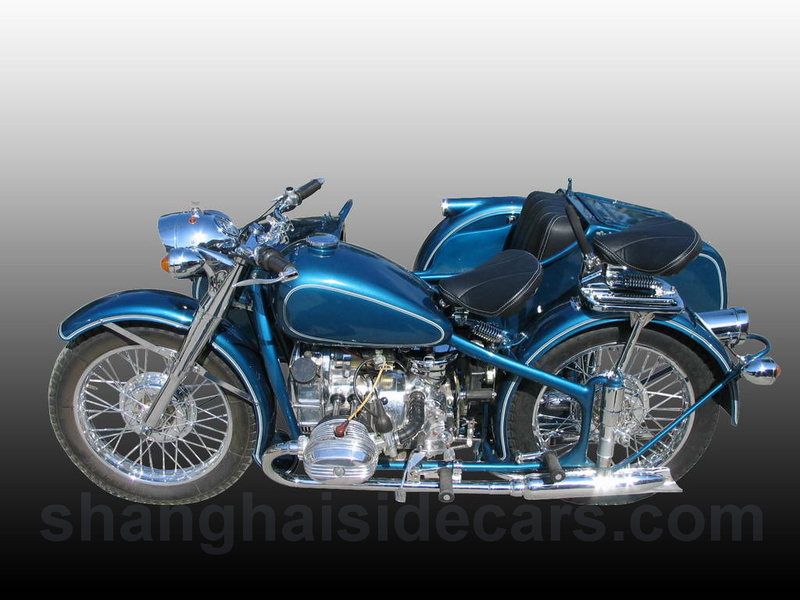 Our paint job are seamless, our excellent grade chrome will not rust, standard on all of our engines and transmissions are imported bearings, our polishing of aluminum parts shine like chrome, our stock carburetors have brass floats and we use tapered steering bearings. 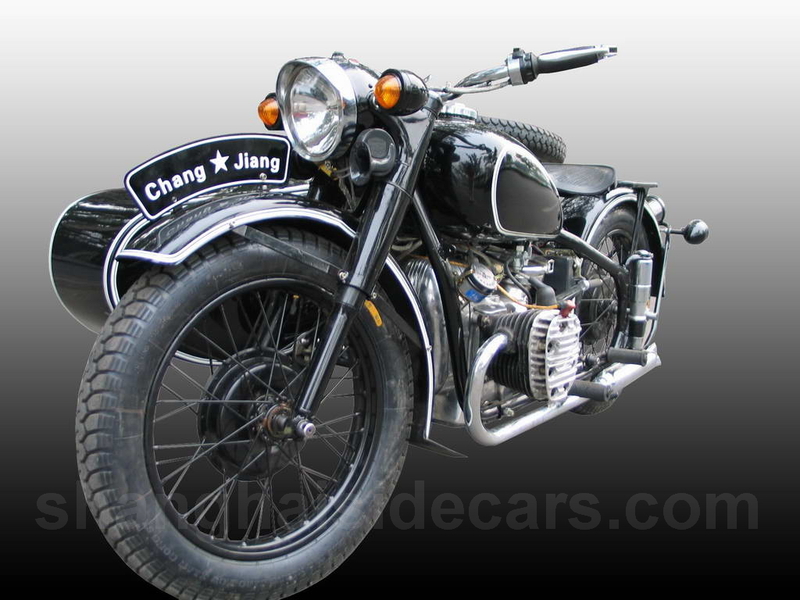 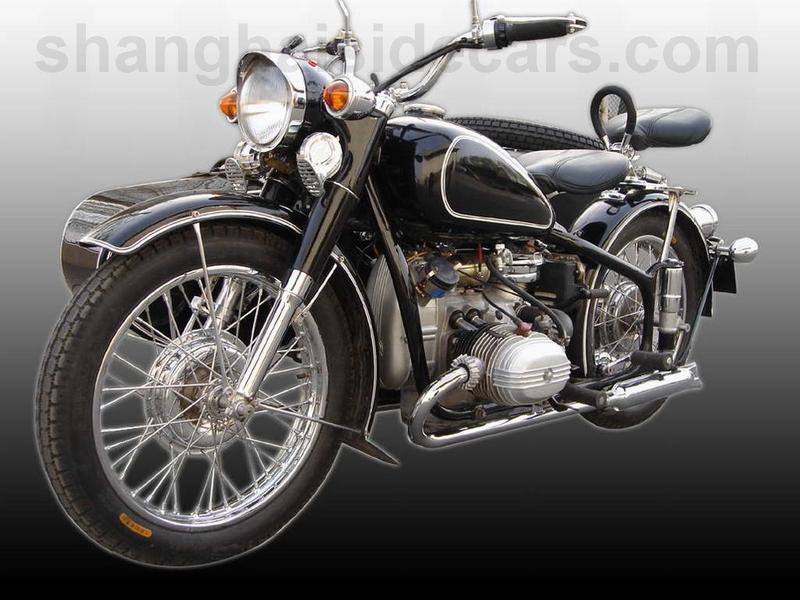 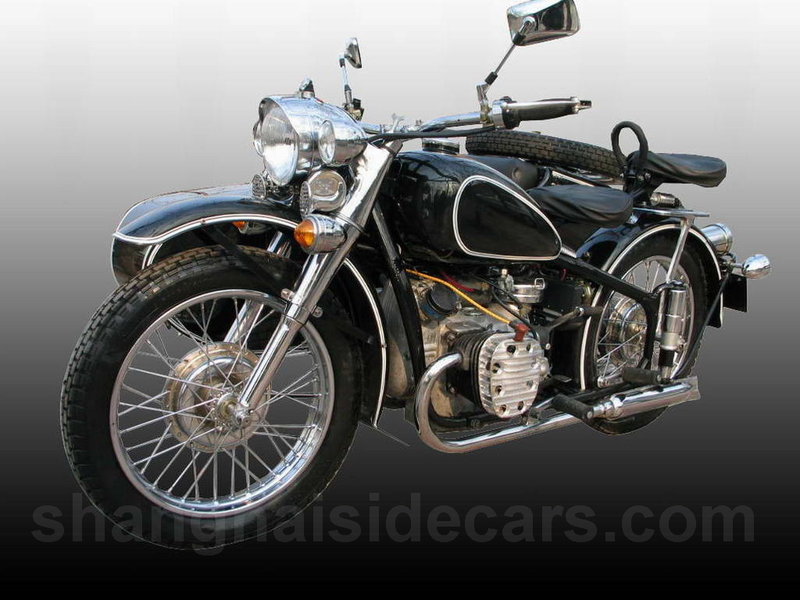 Own a classic R71 style Chang Jiang 750 from us and ride assured that you have an excellent motorcycle that will give you weekends of fun. 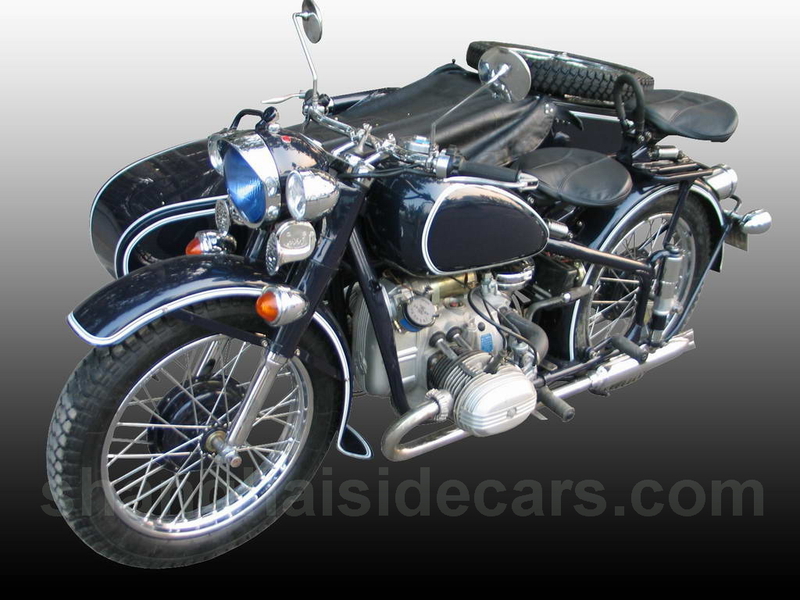 Check out more of our restoration details here. 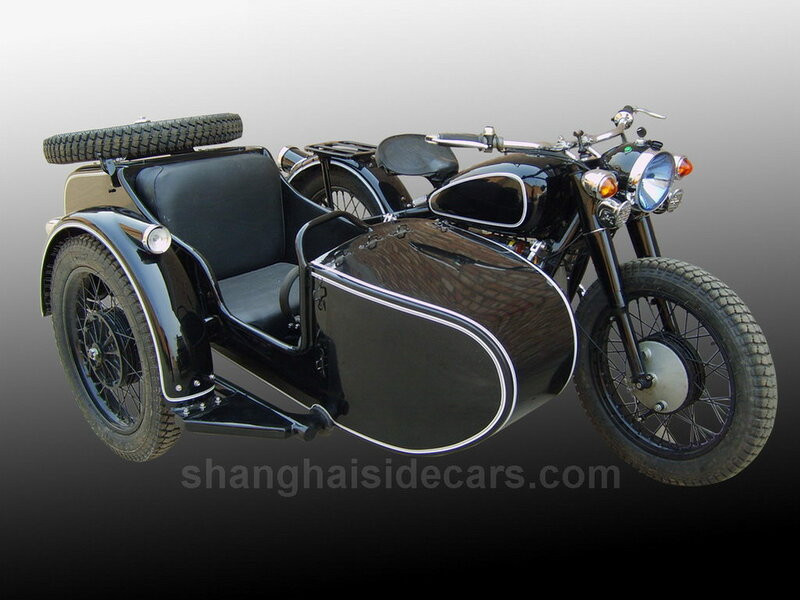 Listed below the photos are prices our customers have paid for their sidecars. 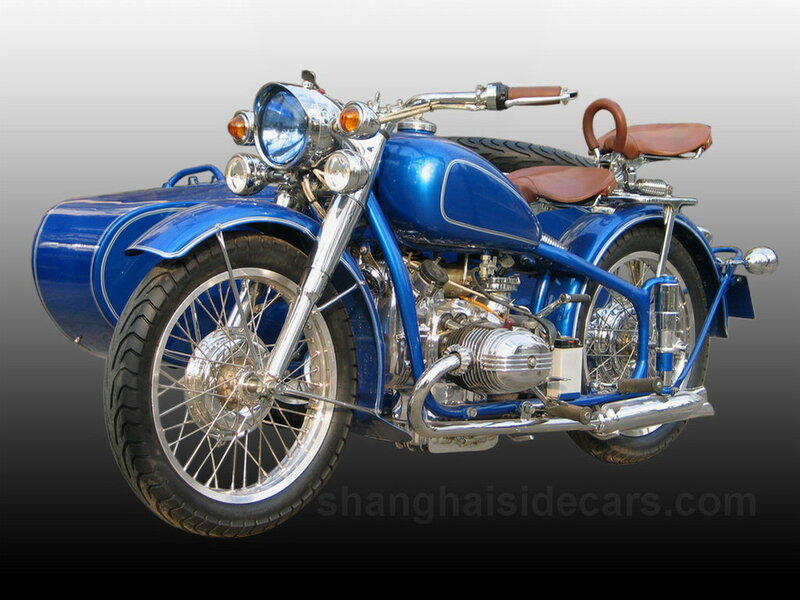 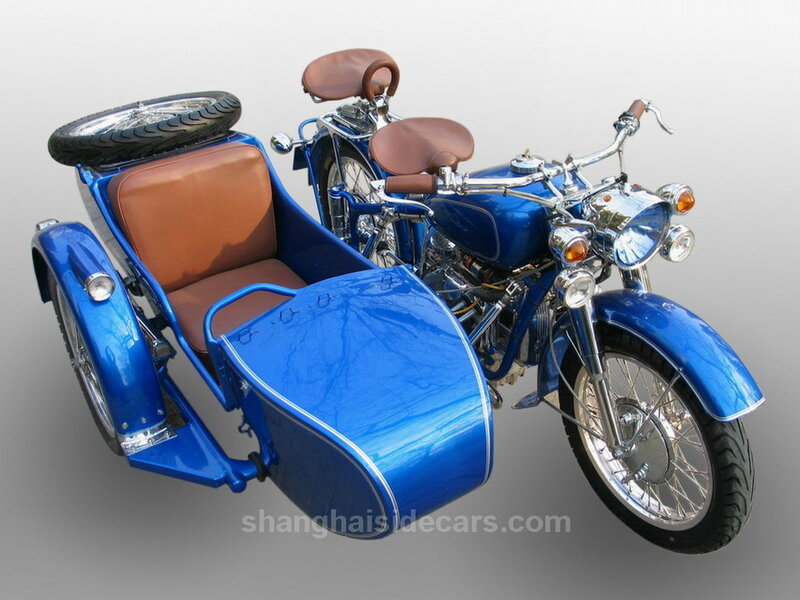 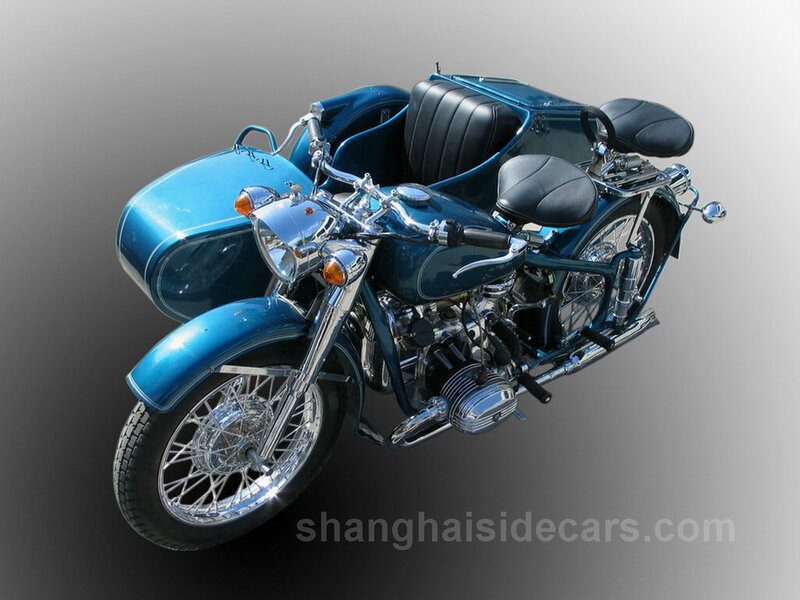 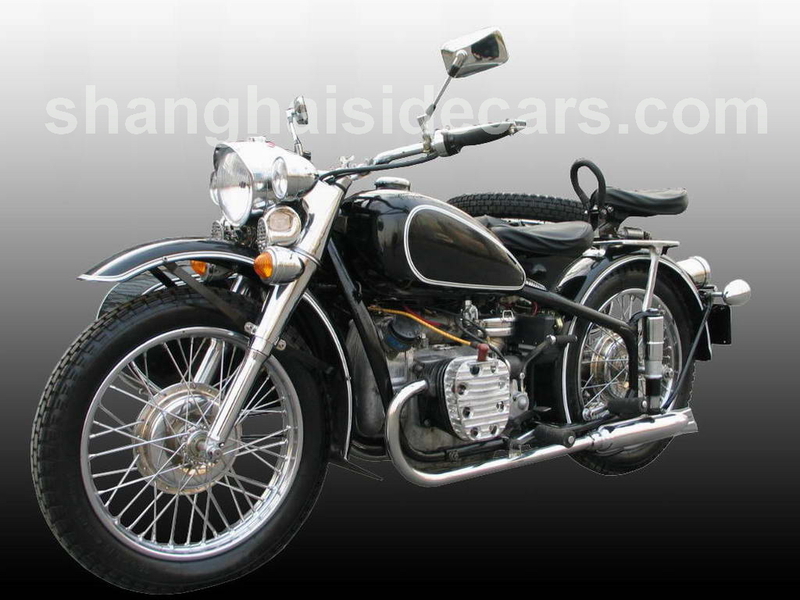 All these CJ750 sidecars are restored from Beijing registered sidecars.